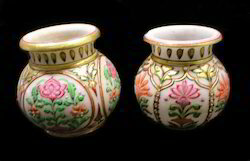 Give your home and office an ethnic look with the sophisticated flower Marble Pots we supply. We offer a wide-range of flower Marble Pot which is appropriate for ornamenting the decor of the interiors. 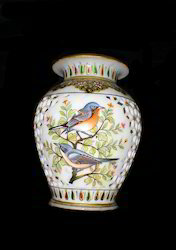 Meeting the demands of the home furnishing industry, the handmade flower Marble Pots of high quality are made available in cost-effective prices. 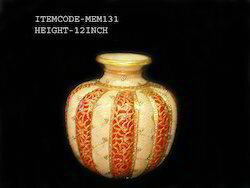 Golden Marble Pots offered comprise exclusively done up marble pots that are made available under item code MEM177. 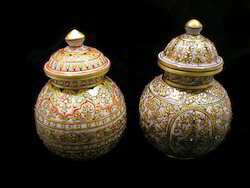 Featuring mesmerizing Persian artwork using 23k gold in created designs, these are made available in 14 inch of size and are perfect as a home decorative as well as a gift item. 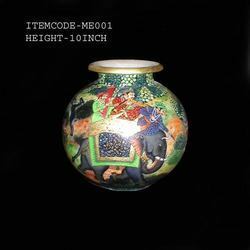 Designed to provide homes and offices an intricate ethnic looks these assist in ornamenting decor of interiors. 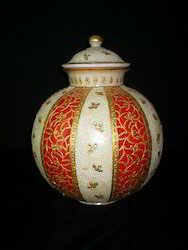 As an ace manufacturer, supplier and wholesaler of Gold Painted Marble Pots, we have marked our name very strongly in the market. 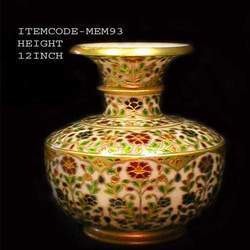 These come with a fine gold plating and do carry a promise of re-defining the beauty of home décor. 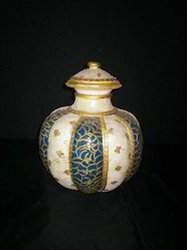 These come in a number of different sizes. 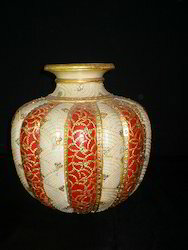 These are made available to the customers at industry leading rates and as per the set industry protocols as well. 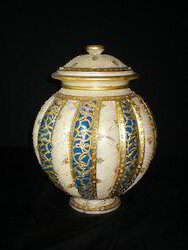 We are a leading manufacturer and supplier of Decorative Marble Pots. 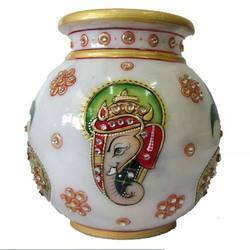 We are a leading manufacturer and supplier of Designed Marble Pots. 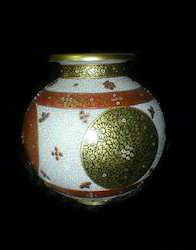 We are a leading manufacturer and supplier of Golden Marble Pots. 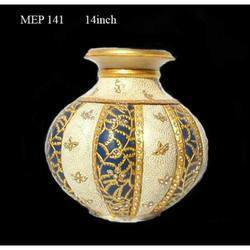 We are a leading manufacturer of Handicraft Gold Marble Pots. 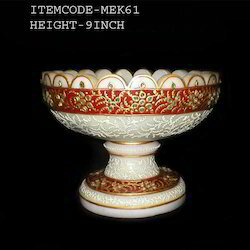 We are a manufacturer, supplier, and wholesaler Fancy handicraft marble pots, we have marked our name very strongly in the market . 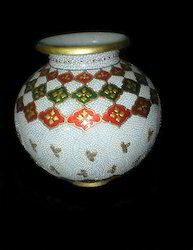 They come with a fine gold plating on borders and do carry a promise of redefining the beauty of home décor. 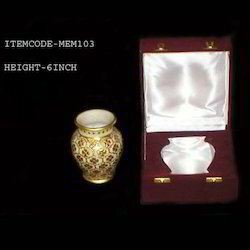 These come in a number of different sizes. 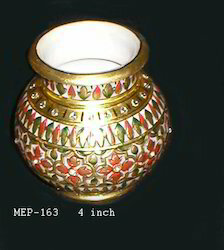 These are made available to the customers as per the requirement of colors. 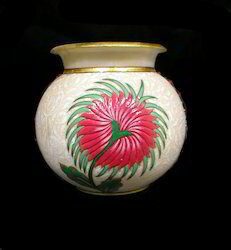 We are a leading manufacturer and supplier of Marble Flower Pots. 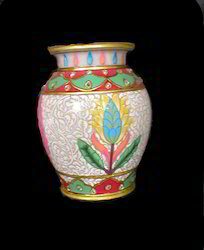 We are a leading manufacturer and supplier of Painted Marble Pots. 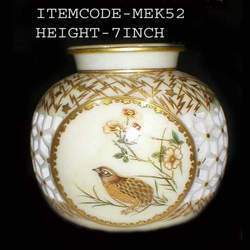 We are manufacturer, supplier and wholesaler Fancy Handicraft Marble Pots, we have marked our name very strongly in the market of exports in international trade. 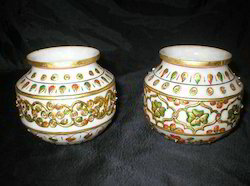 They come with a fine gold plating on borders and do carry a promise of re-defining the beauty of home décor. 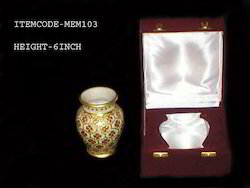 These come in a number of different sizes. 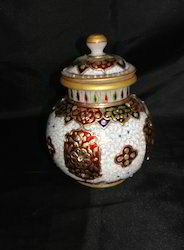 These are made available to the customers as per the requirment of colors. 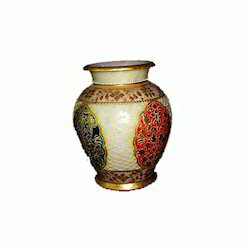 We are a leading manufacturer and supplier of Marble Pots. 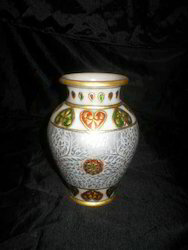 We are a leading manufacturer and supplier of Whisky Stone Pots. 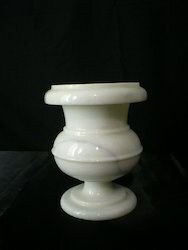 We are a leading manufacturer and supplier of White Marble Flower Pots. 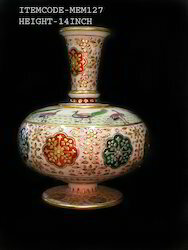 We are a prominent manufacturer, of the best quality Marble Pots. 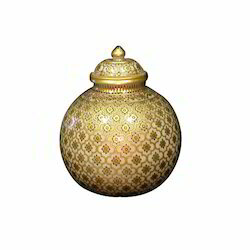 Due to its beautiful design and attractive look, this pot is widely used in homes, hotels and various other places for decorating purposes. 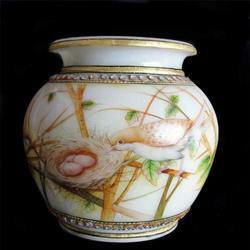 As an ace manufacturer, supplier and wholesaler Marble Pots, we have marked our name very strongly in the market. 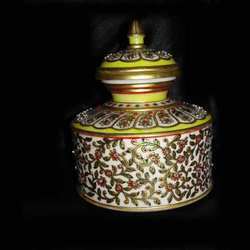 These come with a fine gold plating and do carry a promise of re-defining the beauty of home decor. 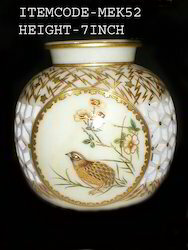 These are made available to the customers at industry leading rates and as per the set industry protocols as well. 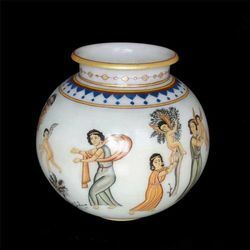 We are a leading manufacturer and supplier of Marble Pots.We are offering classes to teach a wide range of marble pots to our valuable customers. 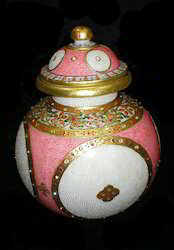 This product is available in different sizes and shapes for different choice of clients.